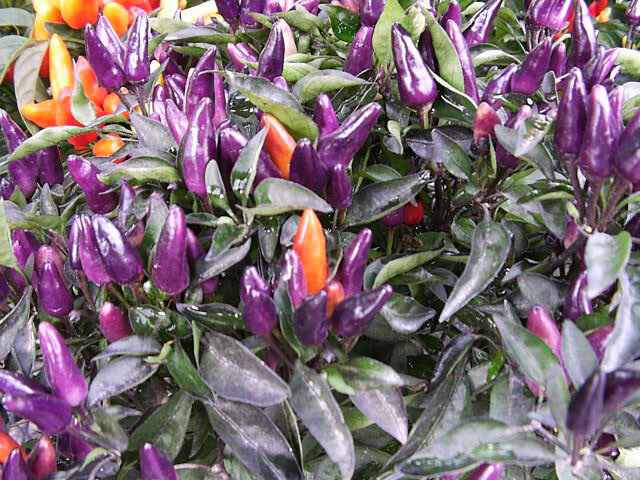 Ornamental Peppers are annual plants that are excellent for border plantings as well a for growing as a potted house plant. In the garden, Ornamental Peppers should be grown in full sun or light shade and planted 9-12 inches apart. 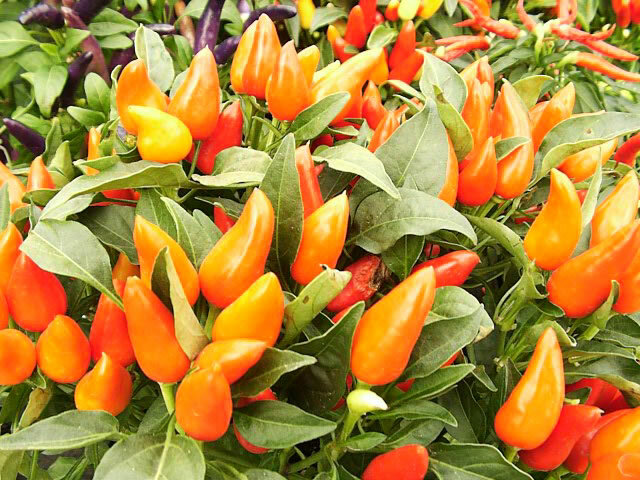 If they are grown in pots, you can bring them indoors prior to the first frost, and continue enjoying the fruits through the Winter months. 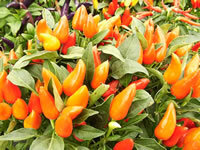 When Ornamental Peppers are grown as a house plant they should be grown in full sun. Keep their soil evenly moist. Sow the seeds of Ornamental Pepper plants into pots around the first of May if you would like your pepper plants to be fruiting at Christmas time. Do not cover the seeds because they require light for germination. The seeds will germinate in about 3 weeks. 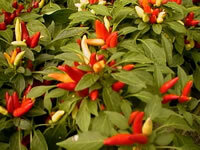 pinch out the plant tips and begin monthly feeding with an all-purpose fertilizer.